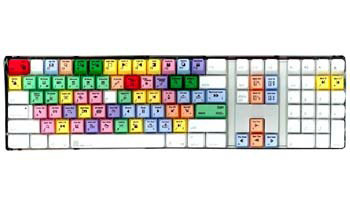 Final Cut Pro Video Editing keyboard key set is designed to work with the Final Cut Pro software to make using the software easier. You must install the keys into a Final Cut Pro keyboard (an earlier software version of the keyboard) to be able to use the keyset. The keyset cannot be installed on another type of keyboard.